Board of Governors Chair Ned Lautenbach recognized Northrop Grumman as a State University System Business Champion on Thursday for its outstanding partnership with the FAMU-FSU College of Engineering. 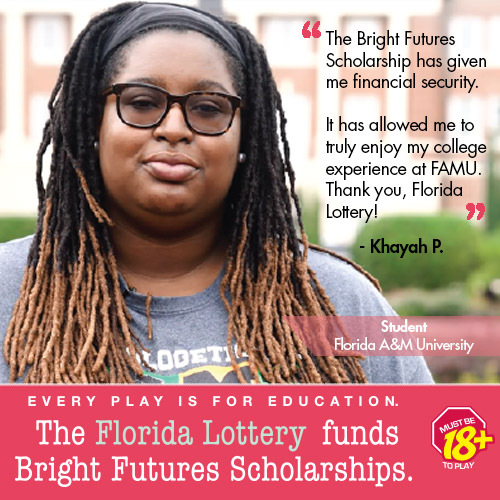 The award is a continuation of the System’s Think Florida: A Higher Degree for Business initiative, designed to build synergies between universities and the business community. 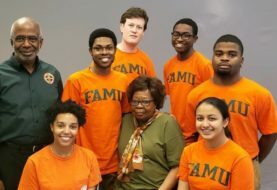 Northrop Grumman has worked closely with the FAMU-FSU College of Engineering and has given the college philanthropic gifts approaching a total of $500,000 over the past five years. These generous donations have supported retention programming, student scholarships, senior design projects and student clubs. Additionally, Northrop Grumman’s $400,000 donation to the National Society of Black Engineers has gone to support 24 engineering students at the Florida Agricultural & Mechanical University. Northrop Grumman advises the College on program development, offers mentoring and internship opportunities for students, and supports several research projects that involve both students and faculty. Interns are tasked with real-world learning opportunities and are able to apply the procedures learned in college classrooms to experiences in the field. Northrop Grumman also advises the College of Engineering on program development, ensuring that students are learning the skills that are relevant in today’s workforce.